The Gupta Medical Center specializes in all types of lung, chest diseases, sleep disorders, general internal medicine and diseases of the elderly and women. 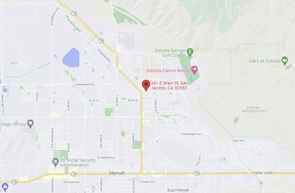 Since 1988, Gupta Medical Center has serviced the areas of the San Jacinto, Hemet, Sun City, Menifee, Temecula, Murrieta, Banning, Beaumont, Perris and Moreno Valley area. The facility offers services from highly qualified, board certified physicians. The Medical center's staff of physicians is board certified for Internal Medicine, Sleep Medicine, Pulmonary Medicine, Pulmonary Rehabilitation, Geriatric Medicine QA & UR, and Critical Care Medicine.